At Chu Eye Institute, our renowned doctors, highly trained staff, unique instrumentation, and state-of-the-art facilities raise the bar inpatient services. In fact, our quality of care and leading-edge instrumentation are often written about in internationally published optometry journals. From our offices in Fort Worth and Southlake, Chu Eye is the name you can trust for the highest level of eye care. Contact our offices to learn more about us. EYEWORKS is also an authorized dealer of luxury eyewear. EYEWORKS is the leading provider of spectacular eyewear in Fort Worth and Southlake, Texas. Our amazing optical staff works with an inventory of more than 20,000 frames and lenses from designers around the world to find the perfect eyeglasses to enhance your appearance and lifestyle. We’re proud to be the area’s exclusive dealer for Cartier, Lindberg AIR Titanium, Retrospec & Co., and Oakley, among others. Let yourself be inspired by our collections! Our experienced opticians work with a large inventory of frames and lenses to find just the right ones for you. Eyeglasses emphasize your personality and give expression to your unique style – whether reserved or extravagant. Eyeglasses dramatically impact your appearance. Your choice of color, material, shape, and size of frame reflect your personality. Eyeglasses can create a strict impression or a friendly one, radiate a dynamic or a laid-back look, or express extravagance or subdued modesty. In other words, your glasses create highlights. Just like your clothing, the eyeglasses you chose make a statement about your style, your attitude towards life, and your personal taste. This is why choosing the right frame is so important. Let yourself be inspired by our collections! Call us today to learn more about us, to schedule a comprehensive eye examination (crucial to ensure healthy vision for a lifetime), ask about our professional services or shop for new frames or lenses. Our Fort Worth and Southlake EYEWORKS teams are experts in the field of eye care. Our goal is to help your vision remain healthy for a lifetime. If you’re thinking about any advanced vision correction procedure, consult with Chu Eye Institute to better understand the latest research, technology, and results that can lead to a more fulfilling life. EYEWORKS GROUP is the premier eye care, eye surgery, and optical group of the DFW metroplex. Founded over 30 years ago by Dr. Lena Chu, OD, today, EYEWORKS’ team of Ophthalmologists and Optometrists have over 60 combined years of patient care experience. Our renowned doctors, highly trained staff, unique instrumentation, and state-of-the-art facilities raise the bar in patient care. Our services range from eye care, eyeglasses, specialty contact lenses to innovative surgical techniques such as LASIK, cataract surgery, Ortho-K, and cornea transplantation. In 2016, EYEWORKS GROUP will debut their flagship location in the Fort Worth cultural district. Truly a family business, Dr. Lena Chu, OD founded EYEWORKS GROUP 30 years ago in its original location on Hulen street in Fort Worth. In the early days, Dr. Lena Chu had only one employee and leased office space adjacent to an optical shop. In the early 2000’s, joined by her son Dr. Robert Chu, OD and daughter-in-law Dr. Katherine Mor, OD, the practice started its meteoric expansion. Keeping true to company’s core values, vision care, contact lenses, and optical remained the primary focus. Dr. Robert Chu refocused the optical store to become the area's leading vendor in luxury eyewear by introducing world-class products from Cartier, Chanel, LINDBERG, Prada, Tom Ford amongst others to the region. Additionally, EYEWORKS prides itself on being one of the few optical businesses in the area with the capability to produce it’s own ophthalmic lenses in-house and eyewear. There is very little in the field of eyewear that our expert craftsmen cannot create. The EYEWORKS lab has the distinction of being the area’s only authorized Partner Laboratory of ZEISS, the world’s leader in optics. Also revolutionary at the time, our new generation of doctors introduced treatment of rare eye disease to the practice. Patient volumes swelled and the company sought to expand to the Southlake market. The Southlake location introduced the EYEWORKS way of doing things to a completely different patient base. The next big step came in 2012, when Dr. Richard Chu, DO Ophthalmologist, and world-class eye surgeon also returned home to join the family business, EYEWORKS GROUP. Trained with a unique focused skillset in cornea, cataract, LASIK, and anterior segment eye surgery, Dr. Richard Chu founded the Chu Eye Institute. The Chu Eye Institute is a unique blend of doctors who care, the most advanced eye care and surgical techniques, with concierge patient service and state of the art locations. In 2016, Chu Eye Institute will introduce cosmetic eyelid surgery and aesthetics procedures. These elective procedures will be expertly performed by Board-certified Ophthalmologists. Over the rich 30-year history, EYEWORKS GROUP has expanded from a solo eye doctor practice into a leading regional multiple location (Fort Worth and Southlake) eye specialty and surgical group. 2016 will see the addition of our new flagship medical facility at the six-way intersection in the Fort Worth cultural district. Throughout our growth, we have always focused on bringing only the most advanced services and finest products to the community. The Chu’s have built EYEWORKS GROUP into the market leading best-in-class eye care facilities. The strategic vision of EYEWORKS GROUP is to be the best in class for all eye care, eyewear, and eye surgery needs in our region and beyond. EYEWORKS GROUP is undergoing phenomenal growth. 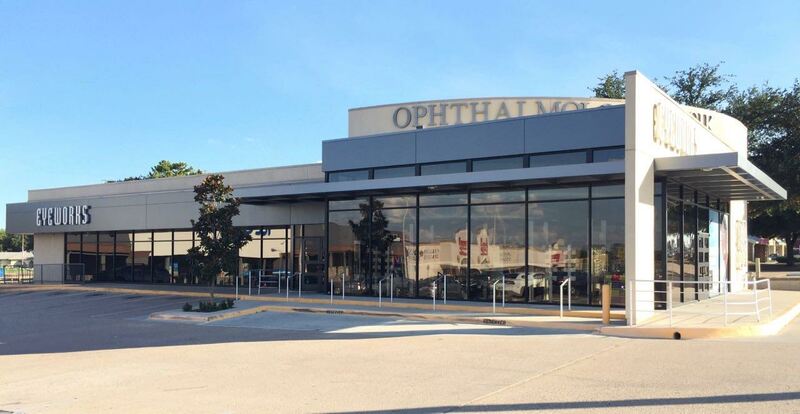 Throughout its 30-year history, it has successfully transformed from a solo eye doctor services-only practice to a full-service luxury eyewear retailer and producer to a leader in cornea disease treatment and innovative eye surgeries. In 2015, EYEWORKS GROUP became the market leader in LASIK in the southwest Fort Worth region. 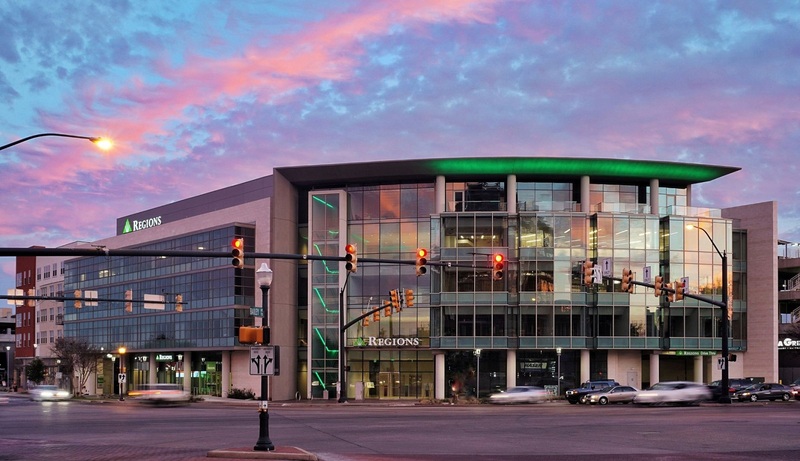 Already firmly established in Fort Worth and Southlake, this next year will see significant growth with the addition on the newest flagship location at the heavily traveled intersection of 7th & University in the cultural district of Fort Worth. The newest location will serve as the key hub to the other EYEWORKS locations. Each branch location, Fort Worth Hulen and Southlake, serves as a standalone profitable location. The branch locations serve a high volume of patients for general eye care, vision services, and optical sales. Patients are screened for eye conditions. If eye surgery or advanced care is needed, then the patient is referred to the main EYEWORKS advanced medical eye and surgery center at the new location in the cultural district. This 15,000 sq ft advanced eye clinic will house the latest technology in LASIK laser system and surgical instrumentation. This facility will be pivotal for the eye care health of the community. The EYEWORKS’ team is a unique blend of doctors who care, facilitate the most advanced eye care and surgical techniques, focus on concierge patient service and exhibit state-of-the-art locations. Our industry expertise, combined 60 years of experience, frequent research publications, concierge patient care, and knowledge of the rarest eye cases have created a very loyal customer base. It is common for our doctors to have seen patients since they were children and then be the doctors for their children and so forth. A significant number of patients have grown up with our practices and routinely stop by just to say hi and have a visit with our staff. It is also common for many patients who have relocated to other countries still return consistently annually to see our highly skilled doctors for an exam and to take care of their eye care needs. Many patients state that they don’t trust anyone else for their eye care needs. We are proud to have built a strong relationship with our patients and with our communities. Our highly skilled doctors at EYEWORKS GROUP practice concierge medicine. From the very moment a patient enters into any one of our locations, they are immediately greeted by a warm reception, just the start of the EYEWORKS experience. This comfortable feeling of being around family and friends is true to our core because most of the staff and doctors are actually family and friends. In fact, all of the owners and Doctor partner's (mother and sons and daughter in law) are related. EYEWORKS treats our staff like family as well. We believe a harmonious staff directly translates to a stellar patient care experience. The majority of our staff has been with the company for over 10+ years. The EYEWORKS experience has been enjoyed by tens of thousands of patients over the years. Our doctors, surgeons, and staff adhere to the highest levels of professional ethics. We truly treat patients like family. It is our honor and privilege to serve our loyal patients over the years spanning generations of Fort Worth families. Our surgeons always choose a conservative approach to disease treatment. 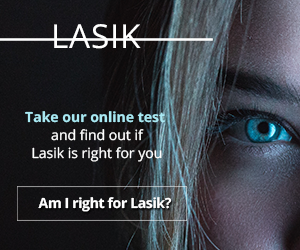 For example, although cataract eye surgery is one of the most commonly performed surgeries in the country, we will always try to correct vision to a functional level with glasses or contact lenses before recommending cataract surgery. With any surgery, there are inherent risks that are unavoidable. We believe that any eye surgery should only be performed when there is absolutely no other option. The Drs. Chu meticulous attention to detail and compassion for their patients achieve the best possible outcomes. Our surgeon, Dr. Richard Chu, DO, is one of only a handful of cornea subspecialty trained surgeons in the country. He is the area’s tertiary referral meaning he is the highest level of medical authority in regards to the cornea. He performs the most challenging of anterior segment ocular surgeries: corneal transplantation. The Corneal transplant is only performed when there are no other options to save a patient's eyesight. This is a high-risk procedure often times resulting in rejection and many other potential negative outcomes. Very few microsurgeons in the world attempt to perform this procedure. Dr. Chu embraces the challenge and as a result, is lauded by his peers and patients alike. Dr. Richard is widely published in his field. 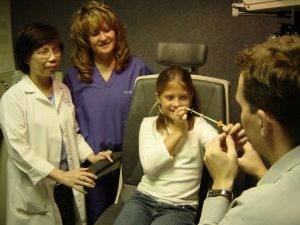 Dr. Chu had the vision to develop Chu Eye Institute from our parent company EYEWORKS GROUP. EYEWORKS GROUP was already an established market leader in eye care and eyewear. However, Richard would never take no for an answer and understood the patients’ need for his specialty in the region. His tireless efforts brought the family eye care practice into the future by elevating our technology, service offerings, and standards. The Drs. The Chu has restored the eyesight of thousands of patients over the years. 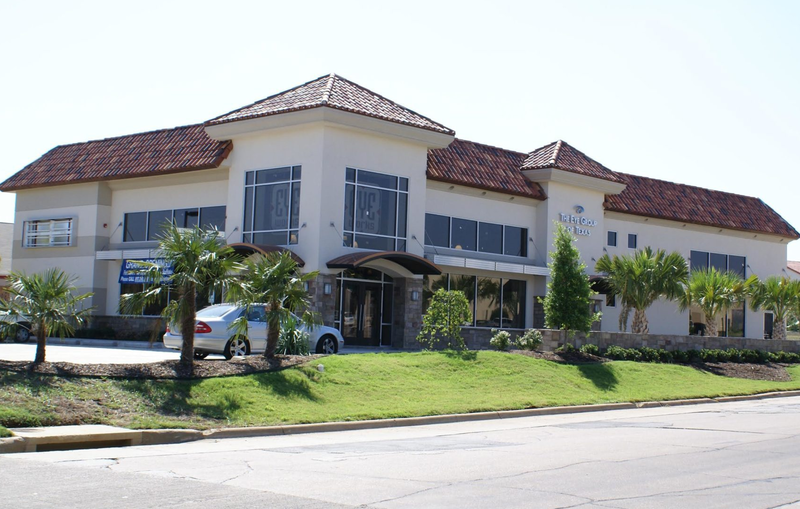 They have elevated the quality of eye care and ocular microsurgery in Fort Worth and beyond. The Chu Family, the founder of EYEWORKS GROUP, are local leaders who give back to their community and profession. EYEWORKS focuses our community involvement efforts on an eye and vision-related causes. We provide volunteer eye care services and glasses for the Fort Worth Country Day School Breakthrough program. This program encourages underprivileged children toward attending college. Our specific goal is to ensure vision problems do not hinder or limit a child's learning potential. EYEWORKS is a high volume provider of eyeglasses to the Fort Worth community annually. As a result, our optical locations are the main collection site for the Lions' Club eyeglass collection program. We also contribute eyeglasses frames to Lighthouse for the Blind. Additionally, EYEWORKS sponsors a scholarship at the Fort Worth Rodeo Calf Scramble. Our doctors are active contributors to their profession. Prior to her career in clinical patient care, Dr. Lena Chu was a widely published scientist and researcher. In fact, the electron microscopy laboratory at the University of North Texas Health Sciences Center in Fort Worth is named in her honor. Dr. Robert Chu, as a result of his leadership abilities and his commitment to extraordinary eye care, was elected by his peers to serve as the youngest President of the Tarrant County Optometric Society and the Board of Directors of the Texas Optometric Association.